The previous chapters in this part of the book have shown three contexts in which public policy can be applied and developed from the theoretical basis presented in Part One. What this chapter shows is how U.K. Governments have developed a policy for the public sector since 1945 and the extent to which these have coincided with the principles suggested in previous chapters. 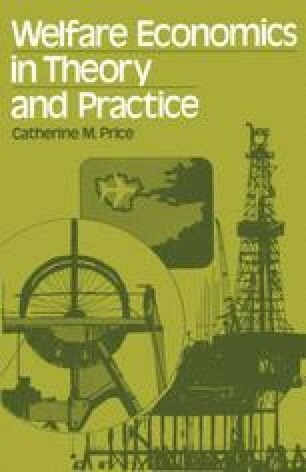 This should help the reader to acquire some perspective of the issues, so that the ideas previously developed in a somewhat abstract setting can be seen against the historical and institutional constraints which in practice limit their application in the United Kingdom.